"Become the ultimate table tennis master!" 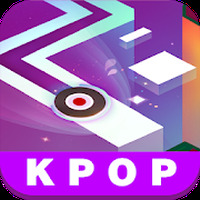 Game Goal: Winner of the category "Best use of Google Play Game Services", the Touch Table Tennis is a game filled with challenges and minigames for those who like ping pong. There is also a free version, but the quality justifies the investment. How to Play: You will have to struggle to master table tennis techniques and play games in different scenarios, participating in tournaments and various events. 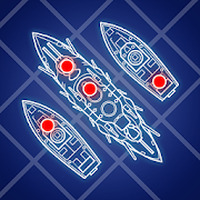 Game Options: The three game modes available (fast, career, and arcade) allow you to play alone or online against users who are connected to the same Wi-Fi network. Graphics: In addition to the attractive interface, the realism of the scenarios in 3D and the fluidity of the game are also impressive. Sound: You can adjust the volume of the background music, sounds, and the ball during the game to your liking. Controls: The tips provided by the little robot can help new players. All settings and commands are touch operated. Developer: Yakuto is based in United Kingdom	- Verified developer. Installation requirements: A minimum of 26M of free memory space and Android 4.1 or higher. Rating: The TOP 1 Most popular games in Tennis Games category. Ranking: The TOP 1 Most downloaded games in Tennis Games category. Precise controls and smooth gameplay. Only compatible with newer Android devices. Takes up too much memory space. Do you like Table Tennis Touch? Challenge tennis champions in this sports game! Become a badminton champion. Easy to play! 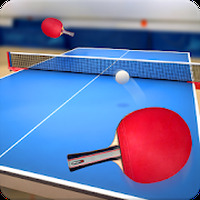 Addictive, 3D tennis game with realistic gameplay. Create a player and win the tournament! Get ready to take part in a badminton challenge!